Spinal decompression therapy is a chiropractic treatment that is used to relieve back and leg pain. For this procedure, a traction table is used to stretch the spine, which relieves pressure on the discs that cushion the vertebrae. The entire process is generally painless. At most, patients might feel a slight stretching sensation. Here at Connetquot Chiropractic, we offer spinal decompression treatment on Long Island for our patients. For this procedure, patients are clothed and usually strapped into a traction table at the hips. This table is motorized. You will feel a slight stretching sensation during the treatment. For most patients, this will not be painful. The entire session should not last more than one hour. However, multiple spinal decompression treatments might be necessary. Treatments can be completed multiple times a week or over the course of a month. Treatment frequency will depend on your situation. Why is this treatment used? - To reduce pain that is situated in the back, neck, and legs. - To allow for more blood to flow to the back, leg, and neck, providing additional nutrients to the affected areas. - Relieve any undue pressure exerted on the discs that cushion your vertebrae. - Provide a relaxing and pain-free treatment option for those suffering from various conditions. - Offer a drug-free treatment option to those that cannot or do not wish to employ substances in their therapy. If you are looking for a non-invasive, drug-free spinal treatment for pain in the back, neck, or legs, decompression treatment on Long Island is a fantastic alternative. If you suffer from any of these painful conditions and wish to receive non-invasive and pain-free care, spinal decompression therapy might be for you. Contact us today to make an appointment for spinal decompression treatment on Long Island. A herniated disc occurs when the inner portion of the disc enters the outer area. If you are suffering from this condition, you may experience muscle weakness, numbness or even leg or arm pain. If the latter happens, it is recommended to a see a medical professional, especially if this pain is joined by muscle weakness or numbness. While the symptoms may be easy to identify, it may be difficult to identify what caused it. Our spinal decompression treatment on Long Island can be the answer to your pain! The most common cause of a herniated disc is disc degeneration which is wear and tear that happens with aging. This could explain why you might be less flexible or more at risk to sustain a rupture or tear. While it is hard to detect the reason for having a herniated disc, it is possible for it to be caused by a certain activity. If you rely on your back muscles when lifting heavy objects or turning and twisting while lifting, you could also sustain a herniated disc. If you need help in alleviating your pain and live in the Suffolk County area, consider making an appointment with Connetquot Chiropractic, P.C. Located in Ronkonkoma, New York, our spinal decompression treatment on Long Island can help you in resuming a healthy lifestyle through preventative and corrective exercises. Part of your experience will include assessing certain activities you do and determine if it negatively affecting your condition. If it does, we would suggest less harmful ways of performing a certain task or if possible, avoiding it. In addition to preventative exercises, corrective exercises can be beneficial in the healing process. Together, we will create exercises tailored to your needs that can increase your strength in the targeted area. This can improve spinal correction by 30-40 percent. Doing these series of stretches and actions can help correct skeletal misalignment as well as promote a healthy lifestyle. Sciatica pain is commonly the result of disc herniation that directly presses on the nerve. If there is inflammation of the sciatic nerve, this can lead to symptoms of sciatica. Some natural causes of sciatica can include irritation of the nerve from the bone or internal bleeding which can cause infections around the spine. If you are experiencing symptoms of sciatica, and are looking for a chiropractor, our spinal decompression treatment on Long Island can help you today. - Feeling weak in your knees. The sciatic nerve is one of the biggest nerves in the body: It runs from your lower spine all the way down to your foot. When the nerve is pinched, it no longer functions properly. This results in pain, weakness, and tingling. - Frequent bathroom use. One symptom of sciatica is losing control of your bowel and bladder movements. In rare cases, if the column of the spine puts a lot of pressure on the nerve, it can lead to permanent damage to both the bladder and bowel function. In that case, it is urgent to see a doctor immediately. Our spinal decompression treatment on Long Island can treat your sciatica symptoms and make your pain a thing of the past. - Lower back pain. This is a common symptom of sciatica. Lower back pain is caused by the strain of the ligaments and muscles. - Knee to chest stretch - This helps the flexibility of your lower back. - Sciatic stretch - This mobilizes the sciatic hamstrings as well as the nerves. - Standing hamstring stretch - This lengthens and stretches the hamstring muscles. The majority of the people who have sciatica tend to get better within a couple of weeks. If your pain is mild and is not preventing you from performing daily activities, your doctor will recommend a few things. The doctor can recommend chiropractic care, stretching, more. If you are experiencing pain, and are looking for a nonsurgical option, our spinal decompression treatment on Long Island is the best option for you. Contact us today for a consultation! The disc is entirely made up of cartilage. Within its composition are proteins called collagens and proteoglycans that attract water. Bulging discs are a common cause of back pain. As our bodies age, these discs retain less and less water, decreasing elasticity. If there is trauma involving the spine, there is less protection in the form of vertebrae. There are many unusual causes of bulging discs. Anyone who constantly lifts or moves heavy things or bends is at higher risk. For those who are active and work out, improper lifting techniques, or stretching the wrong way can cause a disc to bulge as well. Contact sports like football or hockey are full of opportunities that can cause trauma to the spine. Even smoking or alcohol consumption could cause a disc problem. With all of these common causes, there are a lot of treatment options out there to deal with the pain from a bulging disc. One, in particular, is spinal decompression. Our spinal decompression treatment on Long Island is a revolutionary non-surgical technique for treating disc problems. Using a traction table, a chiropractor places a harness around your waist. This harness is attached to where your feet are, at the lower end of the bed. The upper part (where the head is) remains in an immovable position, while the lower part is moved back and forth by the harness. This therapy should be completely painless and produces a similar feeling of relief typically experienced after a nice, long stretch. Spinal decompression is not a one and done procedure, however. Typically, a patient must come in 15 to 30 times to have it done over a period of 4 to 6 weeks. Each session usually takes about 30 to 45 minutes. Connetquot Chiropractic offers spinal decompression treatment on Long Island for people suffering from back pain from disc issues. If you’re still unsure, you can always contact our conveniently located Ronkonkoma office to see if our spinal decompression treatment on Long Island is right for you! Back pain is something that most people deal with in their lifetime and for some, the pain can be a one time deal or it can be a chronic problem. For individuals who suffer from long-term back pain, a chiropractor can help ease the pain by giving them an adjustment. However, in some instances getting an adjustment doesn’t always help, some patients need more advanced care, and that’s where Dr. James Lambert comes into play. Dr. James Lambert is a licensed chiropractor at Connetquot Chiropractic in Ronkonkoma. Dr. Lambert uses spinal decompression treatment on Long Island in order to treat the patrons he proudly serves. There are numerous causes of back pain, the most common form of back pain is degenerative discs. There can be more than one factor that contributes to degeneration. These symptoms are typically affiliated with degenerative disc disease, bulging discs, and herniated discs. Treatment for these problems is typically easy to treat without surgical intervention. Some patients may seek treatment in addition to medication to help them lessen their pain and to help them get back to their daily activities. The only time surgery is needed is if a patient's condition doesn’t improve within 6 months after their initial treatment began, or if the pain has gotten worse. - Lumbar spine stabilization exercises. These exercises cover all levels and help patients regain full motion. Some examples of these include (hamstring stretches, pelvic tilt, and arm/leg raise). - The other form of exercise is known as the McKenzie exercises. These set of exercises consist mainly of working on the patient’s core muscles and teaching them how to control their core, which will help stabilize and extend their spine. At Connetquot Chiropractic in Ronkonkoma, our spinal decompression treatment on Long Island is the best option for you. Dr. Lambert uses the DRX9000 Spinal Decompression Machine in addition to traditional means of treatment. This machine is used to treat numerous forms of back pain including degenerative discs, bulging discs, and herniated discs. The DRX9000 works by rehydrating the compressed disk, and by doing this the disks start to repair and regenerate themselves over time. 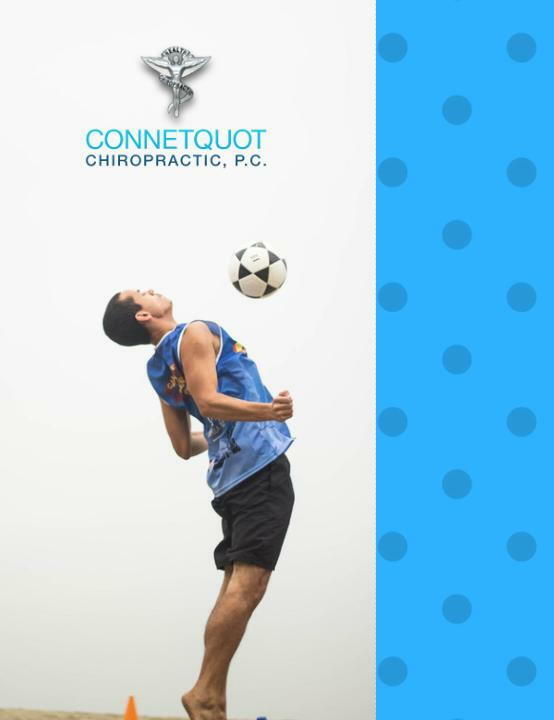 At Connetquot Chiropractic in Ronkonkoma, Dr. Lambert’s goal is to reduce back pain in patients and help them get back to their normal lives living pain-free. Feel free to contact the office to make an appointment and experience the magic of spinal decompression treatment on Long Island. We’re the best option for you! Connetquot Chiropractic, P.C. has focused on improving the health and minds of Ronkonkoma residents since 1985. Everyone wants to live a healthy, pain-free life which is why our wellness center here at Connetquot Chiropractic, P.C. located in Ronkonkoma, New York provides safe and effective treatment options that will get your body and mind back to its normal state holistically. Our spinal decompression treatment on Long Island ensures you that you will leave each session, one step closer to a pain-free life. Our goal here at Connetquot Chiropractic, P.C. is to take you back to that pain-free state and healthy lifestyle that you have been missing. Through our many services offered, each is tailored to fit the needs of each and every patient. We work to get them back to that desired pain-free state and help them reach their health goals. Our spinal decompression treatment on Long Island is here to help give you the help you need!